California has a number of statutory provisions that provide borrowers with protection from deficiency judgments- personal liability for the loan balance remaining after a foreclosure sale. There is protection if the seller takes back the note, or, in the case of a standard third party loan, if it is a residence, there is protection for the loan used to buy the property. Recent legislation provides for protection in a short sale. Also, if the lender who made the original purchase money loan refinanced the loan, there is protection. With enactment of SB 1069, beginning January 1, 2013, any lender who provides a refinance of the purchase money loan will also be prevented from obtaining a deficiency judgment against the borrower. Each borrower’s situation is different, and anyone in a default situation should consult an experienced Sacramento and Yolo real estate lawyer to determine their risk of personal liability. The change makes sense in light of the historic purpose of Civil Procedure section 580b. In the event of a depression of land values, it is to prevent aggravating the downturn that would result if defaulting purchasers lost the land PLUS had personal liability. It is based on the premise that the lender is in the best position to determine the true value of the security for its loan, which is the property. If the lender overvalues the property, the lender should bear the risk of not obtaining the balance of the loan value in a foreclosure sale. 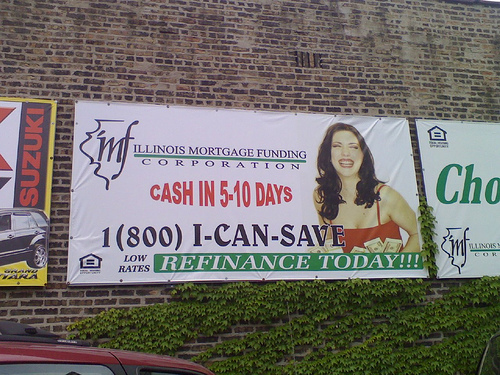 But why should this be different in the case of a refinance of the original loan? This has been a problem for borrowers the past few years, as many people refinanced with different lenders. The new refinance lender should be in as good a position as the original to determine the value of the property. In fact, it has been lenders’ willingness to overvalue property that had contributed to price inflation. New 580b provides that, for any refinance of a purchase money loan which is signed on or after January 1, 2013, there can not be a deficiency judgment in any event, for the money that is used to pay the purchase money loan. However, if additional cash is taken out in the refi beyond what is necessary to payoff the purchase money loan, that additional money is not so protected.